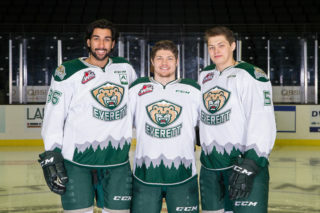 EVERETT, Wash. – Carson Stadnyk broke a four-game goal scoring drought with two goals and two assists while Noah Juulsen pumped in a goal and added a pair of assists to help the Everett Silvertips cruise to a 5-2 victory over the Prince Albert Raiders at XFINITY Arena on Sunday. The Silvertips (4-1-0-0), who took an early lead for first place in the U.S. Division and have buried ten goals in their last two games, won their third in a row. They broke out of a 1-of-10 power play slump by going 6-of-11 in the last two games, and today scored five unanswered goals. Carter Hart improved to 4-1-0-0 and made 25 saves. Following a slow start with both teams battling for energy after playing the previous night, the Silvertips erupted with four goals in a span of 7:30 in the second period. Juulsen hammered a one-timer past Ian Scott from center point just 32 seconds into the period for a power play goal, and Stadnyk tore through the Raiders defense with a deke at the left circle, burying a wrister up high for a 2-0 lead at 3:45. Just 10 seconds later, they tacked on for a 3-0 lead with Dawson Leedahl’s second goal of the year, deflecting Lucas Skrumeda’s blueline shot past Scott. Stadnyk collected his second goal of the game and fourth point of the night at 8:02 for a 4-0 bulge, maneuvering Devon Skoleski’s feed at the goal mouth to a forehand bid that snuck under Ian Scott’s pads. 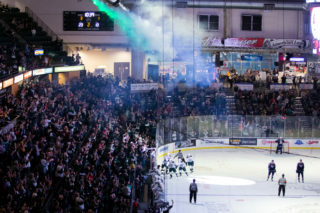 Prince Albert was forced to burn their timeout after the goal and the Silvertips held them to eight shots in the second period. Matt Fonteyne’s power play goal, a finish from Graham Millar under the crossbar and from the right circle, extended the lead to 5-0 on the power play with 6:21 elapsed. Carter Hart then made an impressive glove save, diving to snag Simon Stransky’s bid with ten minutes left, but Mateo Gennaro broke the shutout bid on the rush at 11:29 with a wrister from the left circle. Stransky then buried a power play goal from the right circle with 4:14 left in regulation for a 5-2 deficit, but Prince Albert never threatened after the goal and the Silvertips closed the game with significant pressure in the Raiders zone. Scott took the loss on 20 stops. NOTES: The Silvertips scratched Sean Mallonee, Austin Lotz, Yan Khomenko and Mackenzie Dwyer … Everett won their fourth straight game in the series, matching their longest streak in the all-time matchup … after going scoreless in his first three games, Stadnyk has five points (2g-3a) in the last two games … Juulsen has four points in three games since returning from Montreal … Everett improved to 9-3-1 in the all-time series against Prince Albert … Mallonee was a late scratch, replaced by Brian King, who was deployed in several penalty kill situations … Everett held the Raiders to a 1-of-6 clip on the power play. 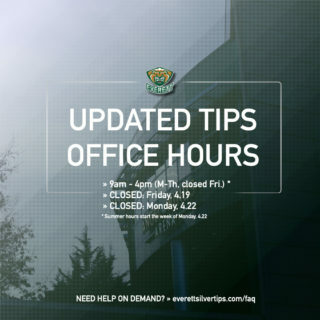 The Silvertips enter another break, a four-day layoff, and return Friday to visit Veterans Memorial Coliseum and the Portland Winterhawks at 7:00pm (1520 AM KXA/WHL Live). 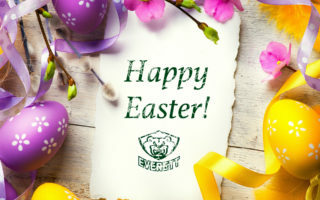 Silvertips radio voice Mike Benton will handle coverage 30 minutes prior to opening face-off with the Silvertips pregame show, presented by Everett Bone and Joint. 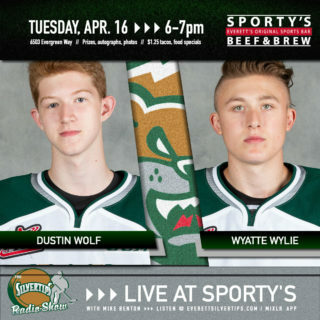 The Silvertips will also host fans at Sporty’s Beef and Brew for watch party action.